‘Experience’ in general is important to us – its what we aim to perfect. Whether its how you feel when you are in our studio, or when you use one of our products. We aim to create a special and enjoyable experience for you each time – one that embodies a deeper story of craftsmanship, creativity and just simple joy! Our philosophy is an inclusive one – in our classes, we welcome beginners and in our production line, our aethetic gathers inspiration from across the globe. Our team is a small group of like minded potters who enjoy each others company have an eye for detail, and work together to create a happy place that produces delightful experiences and objects of beauty. We are about simplicity, creativity, experimentation and beauty. These are the things that are important to us, and we truly love what we do! What an amazing company! Anandita, the studio manager is an absolute delight. She is exceedingly kind, knowledgeable and beyond helpful. 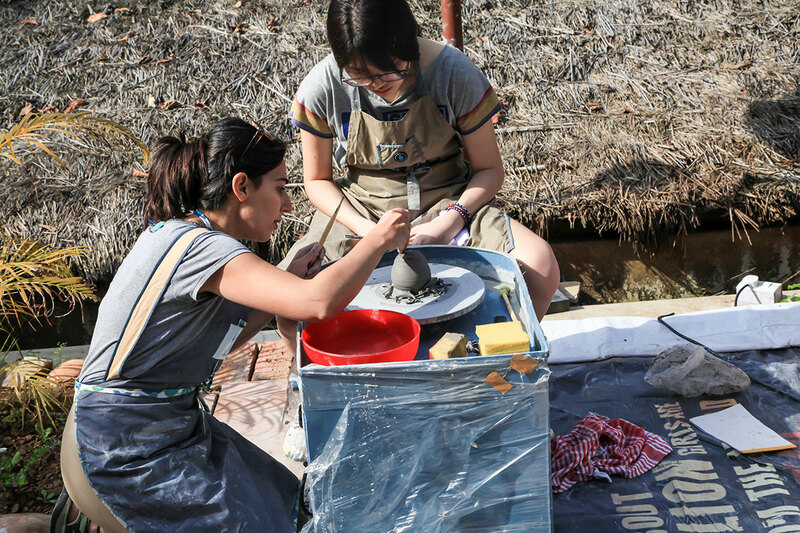 They offer great pottery lessons for all levels in a beautiful studio space. Definitely check them out for a fun new date night idea or different and exciting experience with your family!! Thanks again! Great facilities. Even more importantly, run by folks who care about their work. Highly recommended. Aparna has spent 13+ years in the Corporate world in various leadership roles across Management Consulting and Business Process Outsourcing with companies such as PriceWaterHouse Coopers, GE/Genpact and Infosys BPO. 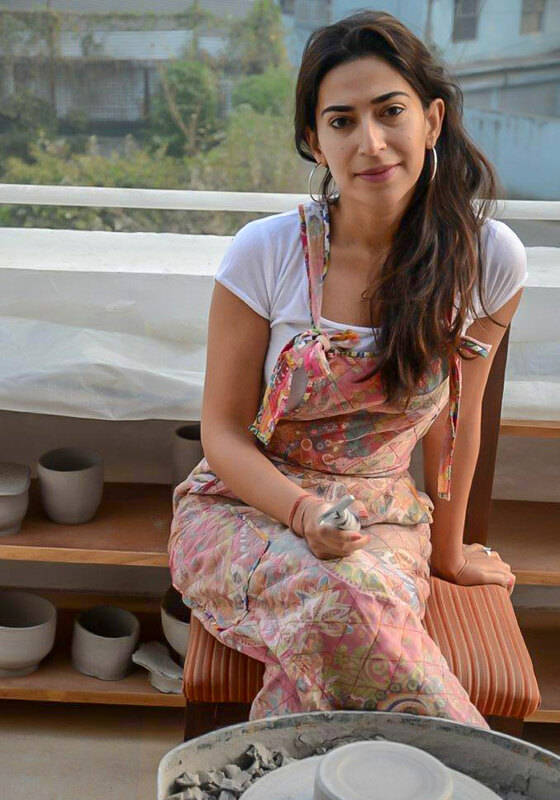 She has worked in global roles in India and across Europe and has lived in New Delhi and London. 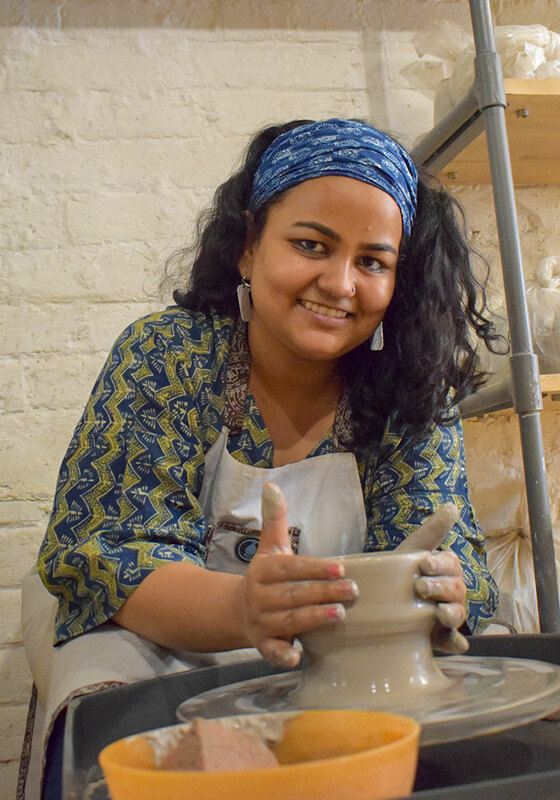 Shriya manages our Nehru Place studio and runs the complex schedules of classes, production, bisque firings, glaze firings, material ordering, housekeeping and pretty much everything you can think of!